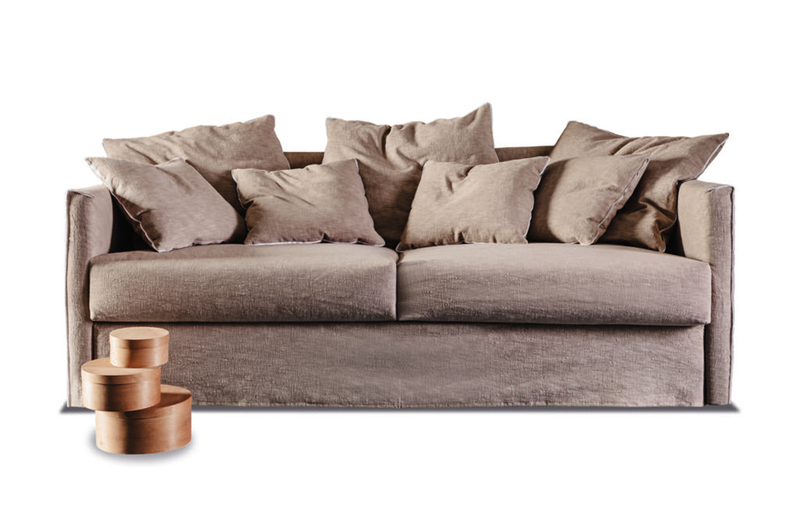 Sofa bed with structure in solid wood. Seat and cushions in feathers with completely removable fabric covers. Sofa bed also available with higher armrest. Available fabric leather, or COM. 62"/70"/77.5" x 30" x 30"/39"H. Seat Height 17".